Video #215: Happy Hour Book Club - J. M. Bernstein's "Brewed Awakening". Mark and Jimmy stop by the Pony bar in NYC to have a chat with Joshua M. Bernstein, author of the recently minted 'Brewed Awakening'. Find out just why you need to hold this wonderful book in your own two hands. Cheers! Sometimes, the occasion simply an only calls for one thing: Great American Craft Beer. Pony Bar. Memorial Day. Remembering all those who served and are serving. 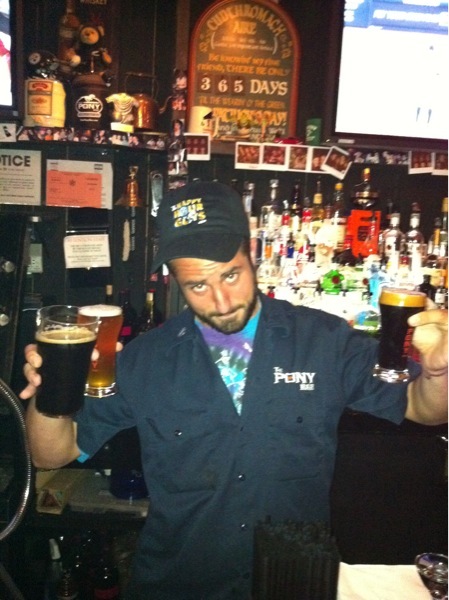 They are serving at Pony! Mirjana - why so happy? Because you're pouring cask ale? Love the headgear. And the beer. 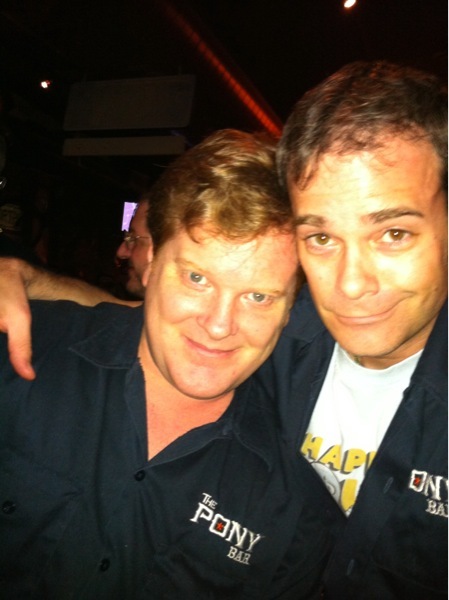 ... with the owner of the Pony Bar, Dan McLaughlin. Way to go Dan! 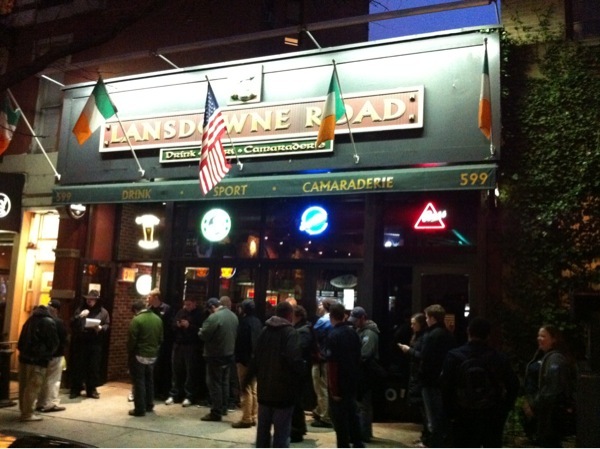 Mark, Jimmy, Scott and Sqiggs are at Lansdowne Road tonight, celebrating the 2 year anniversary of The Pony Bar. Lookit all them All Americans! There are sure to be some very special and rare brews on tonight, in honor if this great Local and the drove of dedicated drinkers that love it. And about 14 more all on tap. Video #76: The Happy Hour Guys got a pony! The Pony Bar! Mark and Jimmy find a real reason to celebrate in Midtown Manhattan with the arrival of The Pony Bar, an oasis of American Craft Beer on 45th and 10th. Owner Dan McLaughlin's inviting space features 20 draft lines of beer and two cask ales that are always rotating, providing for new taste experiences every time you come in the door. Add to that the Pony All American Club, their Brewery Tours, a solid kitchen menu and a great staff, and you've got a place that's sure to be in New York for a long, long time. 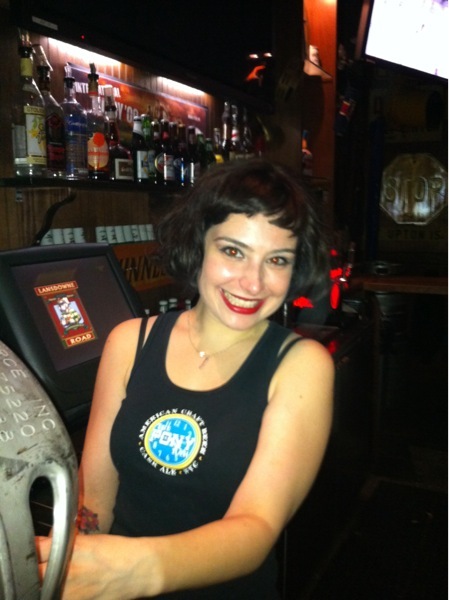 If you're within a hundred mile radius, saddle up and head over to The Pony. Cheers!